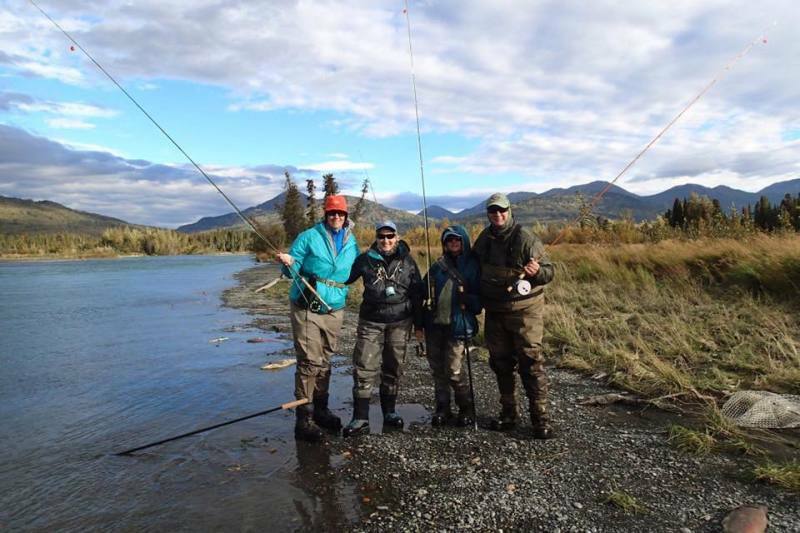 World-Class Trout Fishing in Alaska! 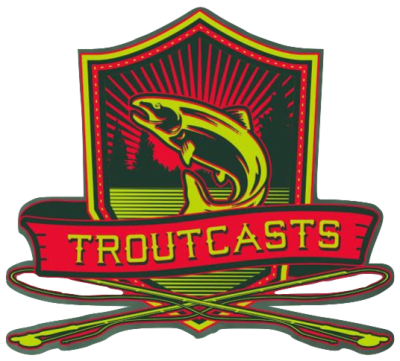 Here at TROUTCASTS we like to focus on Kenai River Rainbow Trout and Dolly Varden. Hence the name "TROUTCASTS". With such a famous river like the Kenai, and the most popular sport fishing destination in Alaska for salmon fishing, one may ask, “Why fish for trout on such a prolific salmon fishery?” For that exact reason is why we fish for trout, simply put, lots of salmon equals healthy and abundant trout populations. The reason for this is once the salmon start running up the Kenai, swarms of eager salmon fisherman flock to the river by the thousands in an attempt to get in on the slammin salmon mayhem. As trout fisherman we love this, thousands of fisherman cleaning their salmon in the river provides the trout population a healthy dose of their own salmon meat and caviar. As fisherman chuck thousands of salmon carcasses and egg sacks back into the river, the trout begin a 4 month long smorgasbord of gorging themselves into periodic gluts. As trout enthusiasts, we imitate the chunks of salmon meat and eggs in the water in our pursuit of the most beautiful fish Alaska has to offer. So while everyone else is partaking in the salmon madness, we are the outcasts, or “TROUTCASTS” if you will, that will be targeting big Alaskan Rainbow Trout on one of the most diverse and copious fisheries in the World! We fish the Kenai River, or as the local Dena’ina people say, Kahtnu. The headwaters of the Kenai River start at Kenai Lake in the Kenai Mountains located near Cooper Landing, AK. The Kenai flows west through Skilak Lake, the Kenai National Wildlife Refuge and Soldotna, AK, until the river reaches its final destination of Cook Inlet near the town of Kenai, AK. The Kenai River flows for approximately 82 miles in total from the headwaters to the outlet. 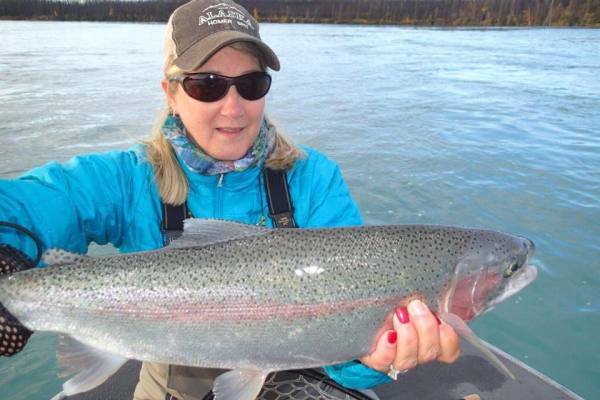 The Kenai River is home to multiple runs of different salmon species, from Chinook (King), Sockeye (red), Coho (Silver), and Pink Salmon every other year, to even some Sea-run Trout (Steelhead). The Rainbow Trout and Dolly Varden will stay in the river until the lakes start to freeze around November, then they will make their way to winter in these frozen lakes and return to the river in the spring when the lakes begin to thaw. Some bigger trout will actually stay in the rivers near the lakes throughout the winter as different food sources are still available. 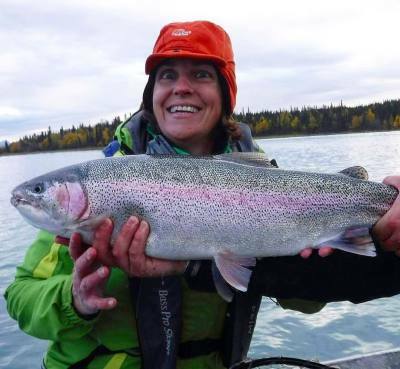 I personally still love fishing the Kenai during the winter months as it can often be quite productive for larger Rainbow Trout if one can stand the elements. Here At TROUTCAST we like to focus our attention on the lower portion of the Kenai River during June and July for trout, and as the Coho start to move up the river in mid-August, we to start to focus our attention on the middle Kenai River from August to October. We try to fish where the main surge of incoming sockeye tend to be, as this usually seems to be where the bigger trout hang out. This makes sense as the trout are just like the salmon fisherman, we all follow the food source. 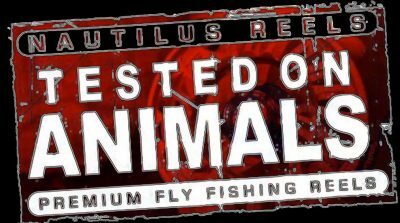 At TROUTCASTS we fish a few different ways. We use our 18ft Powerdrifter with a 50hp jet to get up to where the fish are. Once we arrive at our spot, the oars come out and we drift through the holes and lines that the trout typically hang out in. We do all of our fishing with fly rods and almost always use beads to mimic salmon eggs, or flesh flies to mimic pieces of salmon that have been thrown back into the water. Sometimes we will use flies that mimic leeches and smolt, depending on the time of year. You don’t have to have waders, as we can do most of our fishing from the boat. However, if you have waders and want to wear them, there are a few spots on the river that can be extremely productive by getting out of the boat and wading. TROUTCASTS is pleased to offer full day guided trout trips that last about 8 hours. We also offer a scenic float option. If fishing isn’t your game, but you would like to see the Kenai River and Kenai Wildlife Refuge, this is the option for you. We have a 16ft Cataraft that can seat up to 4 passengers. There are two options for this float. You can either float the upper portion of the river from Coopers Landing to Skilak Lake, or you can float the middle river from Skilak Lake to Bings Landing. Floats can take anywhere from 6-8 hours depending how much you want to get out and walk around. During the float you will see a number of different wildlife species that call Alaska home. I will provide a shore-side lunch at your request, comprised of local Alaskan cuisine. The scenic float is a great option for those who want to focus on sightseeing one of the most beautiful areas Alaska has to offer. The first thing you will need to fish is a fishing license. You can obtain a fishing license directly through Alaska Fish and Game, or any of the local sporting goods stores. You will need to bring your own lunch and water. Ensure you check the weather the day before your trip. It starts to cool down towards the end of August, but it can be sunny and 80, or 40 and raining almost any day throughout the fishing season. Dress accordingly. Dress in layers, and bring good rain gear. TROUTCASTS will provide all of the tackle and rods. If you have questions about what you need to bring, feel free to contact me anytime.